With spring arriving, the revival continues at The Oxford Hotel. There are events that happen fortnightly, such as wine tasting at The Oxford’s “Wine Down” held on Thursdays from 5pm, a karaoke night also on Thursday from 7pm, and “ArtSmash” which is when a local artist tries to sell their work on the night or have it destroyed on the spot. A change in season also brings a new food menu. Head Chef, Symon Conway-Lyden and his team have developed a spring menu to entice customers with newly inspired additions and some old favourites. From fresh, vibrant, colourful salads to classic pub favourites with an Asian twist, there are options for every diner. 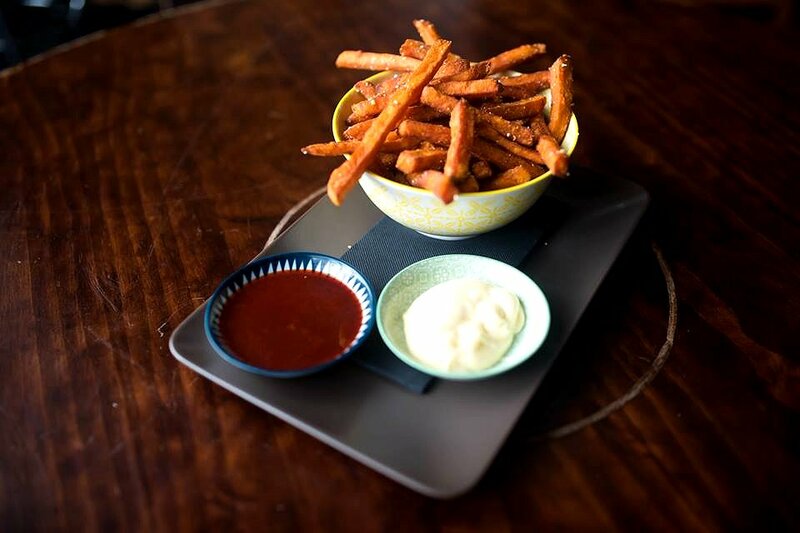 Once a treat, Sweet Potato Fries are now commonly found at all good eateries. The fries were cooked to a nice golden brown and the insides were soft and fluffy. Just the right amount of salt was added to make them ideal to have them on their own. The inclusion of the garlic aioli and gochujang dipping sauces takes this popular bar snack to the next level. 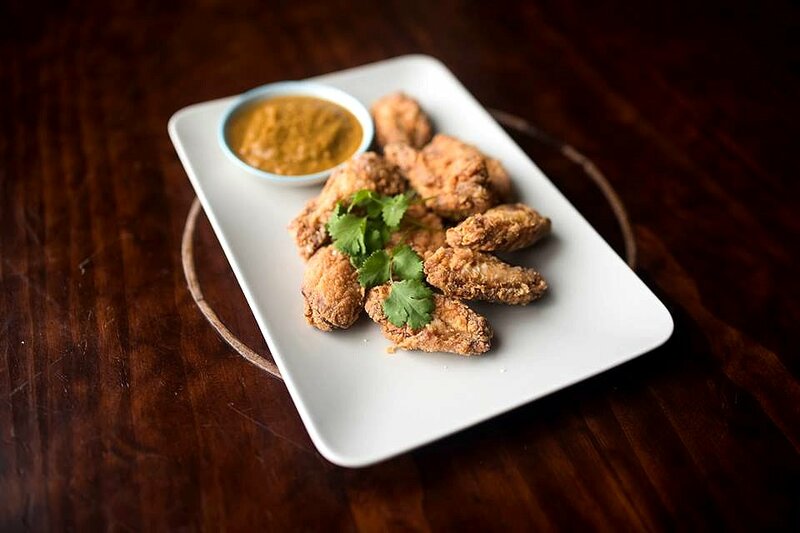 Another popular bar snack is chicken wings and every place seems to have their own interpretation. At The Oxford, they’re Zingy Wingys; chicken wings coated with a lime and ginger batter. The wings were crunchy on the outside, and the chicken was tender and succulent. When dipped into the spicy green sambal dip, the excitement levels are taken up a notch. The Bun Cha dish is inspired by the head chefs recent travels to Vietnam and directly translated, it means “white vermicelli noodles” (bun) and “grilled fatty pork” (cha). 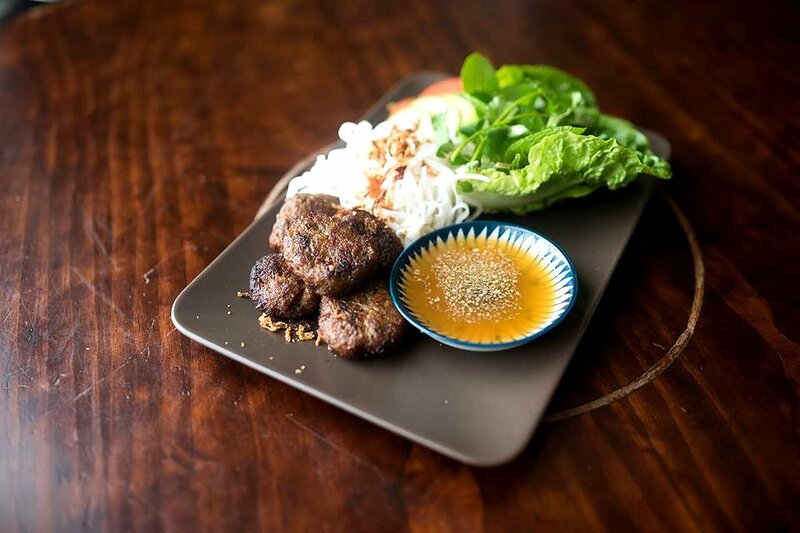 This dish is not to be confused with “nem nuong” which is another grilled pork meatball that is commonly found at most Vietnamese eateries. The meatballs were lightly charred on the outside, and juicy in the centre. A little salty on their own, they were perfect when combined with all the provided condiments. The Vietnamese dressing did its job by combining all the elements together. Now we don’t normally make friends with salad, but we’ll make friends with the Spring Zing. 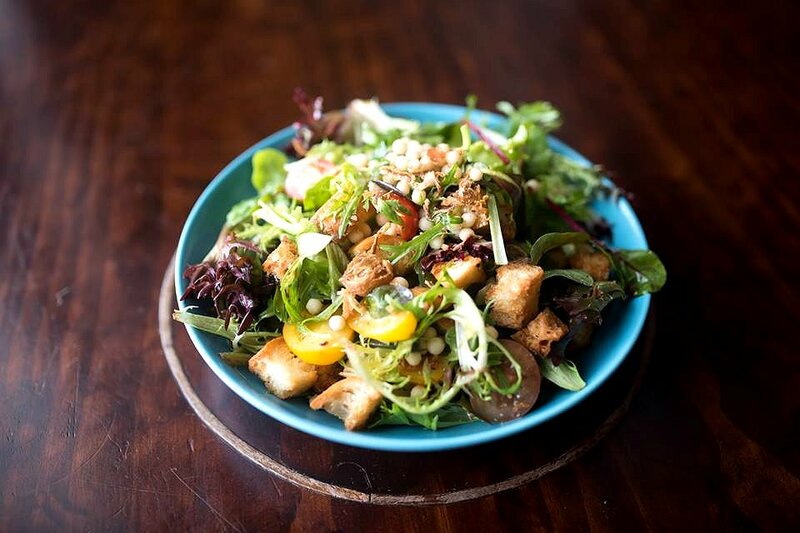 The salad was fresh, vibrant and colourful, and contained a delicious mix of lettuce, heirloom tomatoes, citrus wedges, bocconcini, croutons and pearl cous cous. The lettuce was fresh and crisp, and well complemented by the crunchy croutons. The citrus wedges had a subtle tartness which was balanced by the sweetness of the tomatoes and light pomegranate dressing. 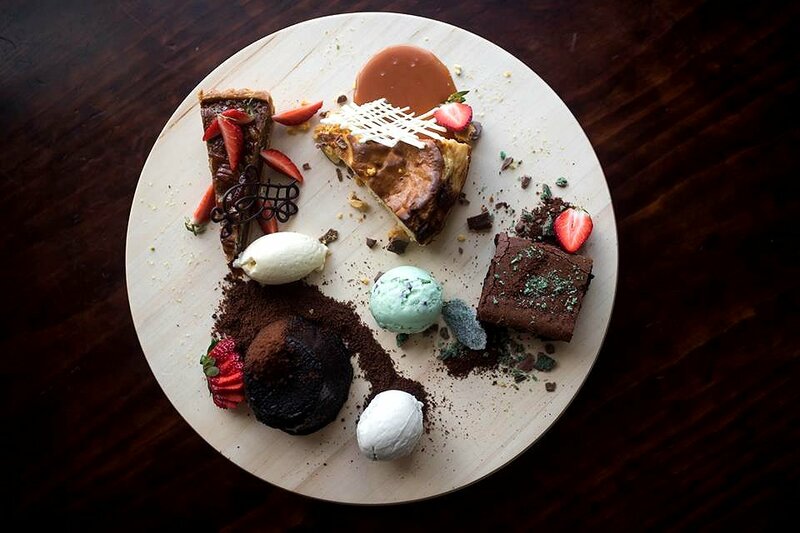 The contrast in flavours and textures will have you begging for more. Vegans and the gluten intolerant rejoice! The Power Punch salad is for you! Packed with wholesome goodness, you’ll feel like you have the strength of the Incredible Hulk. 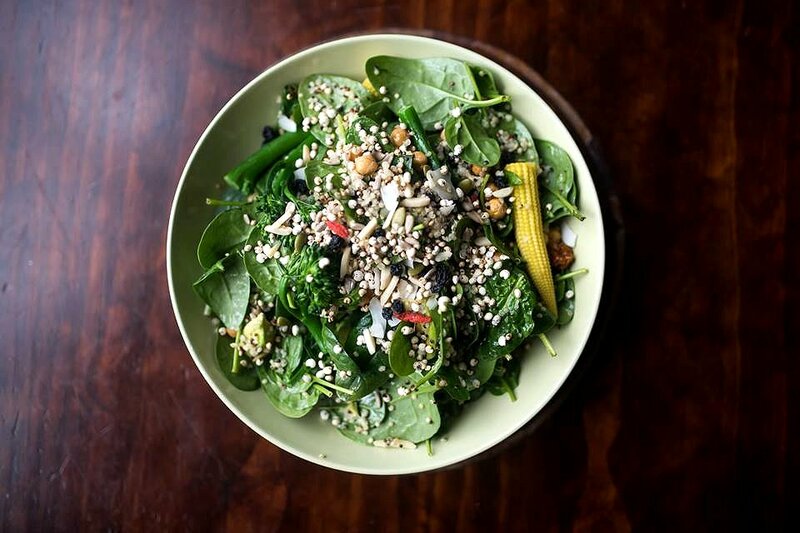 It has an all star cast of baby spinach, avocado, paleo fruit and nut crunch, roasted chick peas, steamed broccolini, baby corn and millet puffs. For us, this salad was more about the contrast in textures; the leafy spinach, the crunchy chick peas and the soft, delicate avocado. In this case, it needed more lemon mustard dressing to balance out the flavours. Chicken Karage is such a popular Japanese staple, it would be tasty in any form, even in a burger! The chicken karage in this dish was executed to perfection. The coating was firm and crunchy, and the thick piece of chicken thigh was tender and succulent. The slices of avocado were soft and delicate, and was complemented by the creaminess of the Japanese mayo. The lettuce and tomato were fresh and crisp, and the bun was nice and firm, holding all the ingredients together. This burger is a must try! We certainly love a good steak and this one was up there with the best. 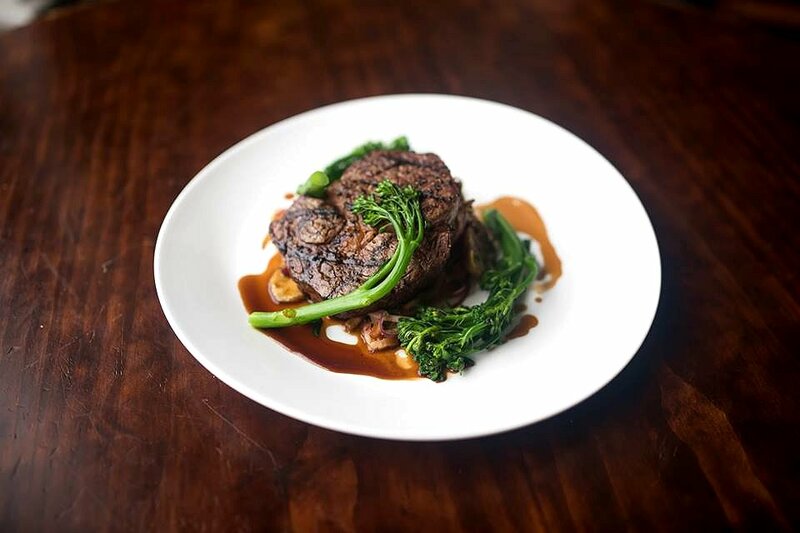 The Grilled MSA 300g Sirloin Fillet is your weeks meat requirements on one plate. The steak was charred on the outside and had a light, pinkish centre. The texture was smooth and silky with lovely chargrilled flavours. The surprise for us was the warm German potato salad. Made with thin slices of soft but firm potato and generous amounts of crispy bacon bits, it was on par with the steak. The broccolini was firm and added nice colour, while the red wine jus really brought everything together. The Pulled Lamb Shoulder is an upmarket version of a deconstructed yiros. The layers of lamb were well seasoned and the meat simply fell apart. 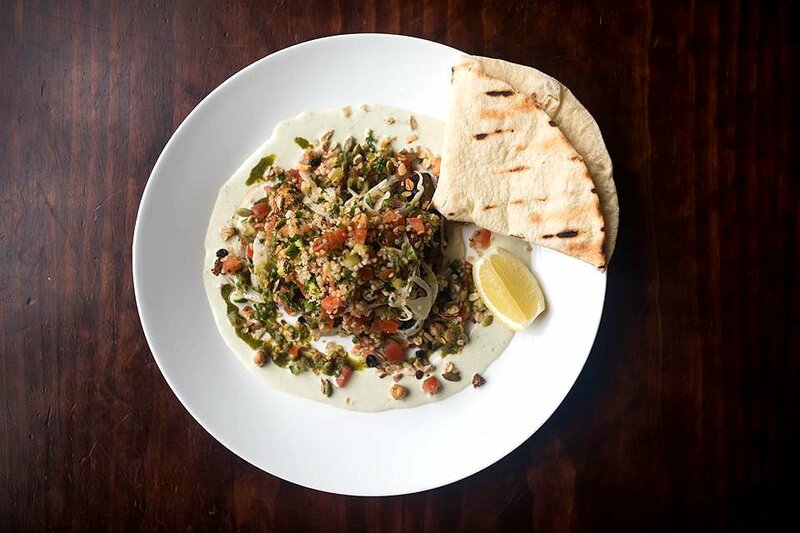 The mound of salad was bright and colourful, and had all the hallmarks of a traditional yiros filling with the exception of fennel, dried sultanas and crunchy chickpeas. The spiced garlic sauce had a lovely thick consistency and prevented the dish from being too dry. This dish is creative and delicious! One of the pitfalls of cooking chicken breast is that once overcooked, it can be dry and miserable. 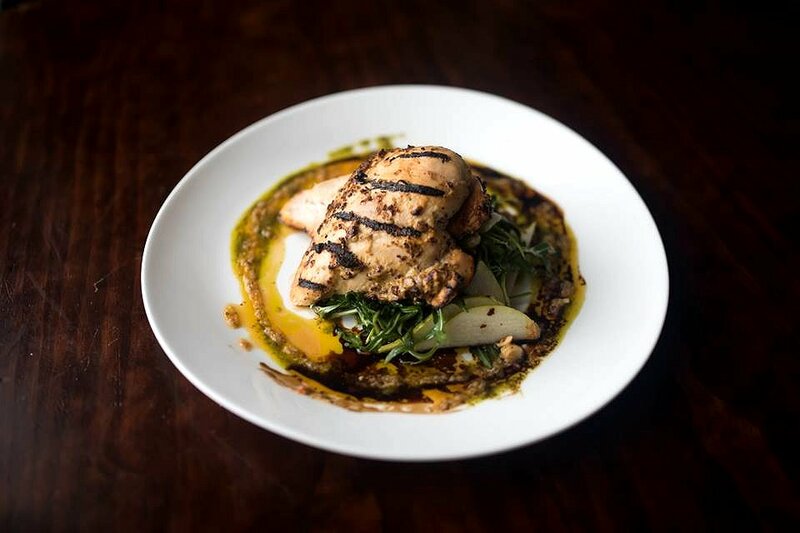 Not so with the Grilled Lemon Mustard Chicken Breast. Sliced into three separate pieces, the chicken was moist and succulent with lovely chargrilled flavours. Combined with the tried and true combination of rocket, pear and hazelnut, this dish was one of my favourites. It is served with an equally amazing OmNom dressing which is a blend of the head chef’s favourite sauces. (It’s a secret and we don’t know what it is). At the end of every feast is a sweet treat, and we were presented with a well presented lazy susan that had a Baked Cheesecake, Pecan Tart, Warm Choc Brownie and Choc Ooze Cake. We absolutely love baked cheesecakes and prefer them over the cream cheese variety. This one had a lovely thick consistency with a nice cheesy flavour about it. The Pecan Tart was also up there; the crunchiness of the nuts worked hand in hand with the thick, sweet golden syrup. The Warm Choc Brownie was well executed; firm and chewy on the outside, with a soft, moist centre. The Choc Ooze Cake is their version of the classic chocolate pudding; a rich chocolate sponge cake filled with a decadent chocolate sauce centre. Dessert was amazing and had us rolling out of there! The Oxford Hotel is centrally located in the heart of North Adelaide, and is the perfect venue for any occasion. With all the events happening and the delicious new spring menu, this truly bespoke venue is a great place to catch up with your friends, get a good feed, and enjoy the entertainment. 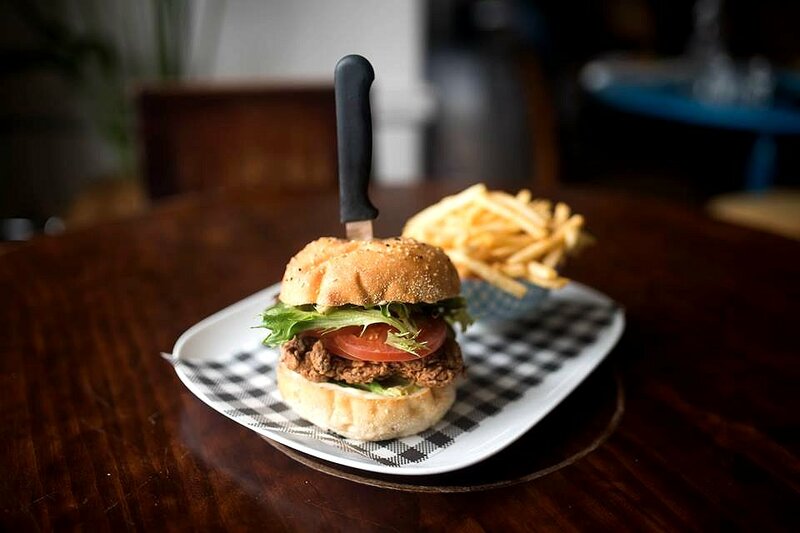 The Oxford Hotel prides itself on providing something different and nurturing local talent, so experience it for yourself and make it your new local. We have!